It wasn’t long ago when the Alfa Romeo Stelvio managed to not break down during a Nürburgring lap, and beat the Porsche Cayenne’s record. But now, seemingly out of nowhere, the Mercedes-AMG GLC 63 S has brought the production SUV crown back to Stuttgart. 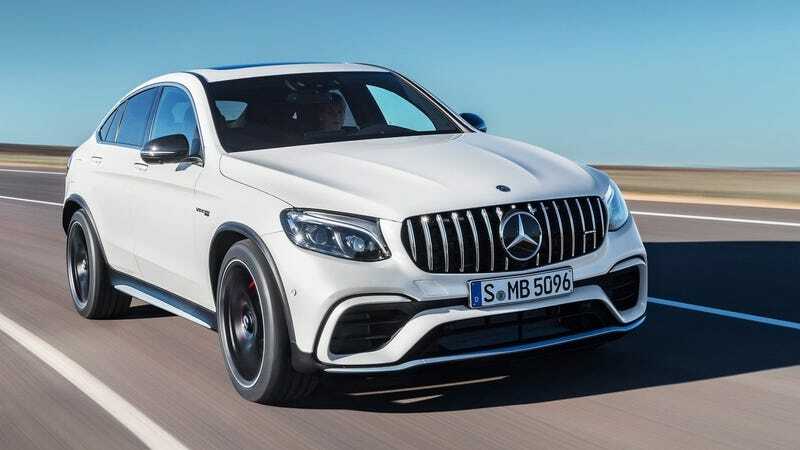 Mercedes says the SUV—piloted by Markus Hofbauer, a Mercedes-AMG development engineer—managed an “officially measured and notarized” time of seven minutes and 49.4 seconds. That’s a few ticks better than the Stelvio’s seven minutes and 51.7 second lap, making the Benz the fastest production SUV around Germany’s fabled racetrack. How much does this lap record really matter? 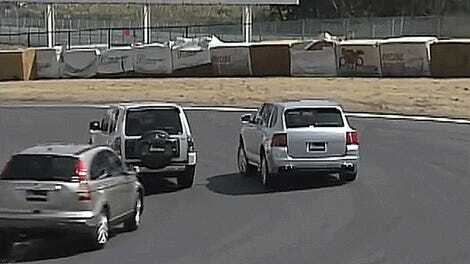 And does it definitively prove that the GLC is the better handler? Not a lot, and not really. Still, it’s an impressive figure from a vehicle that I wasn’t expecting to be able to carve up the track quite that well.